refrigerator oatmeal + handmade pot holder. 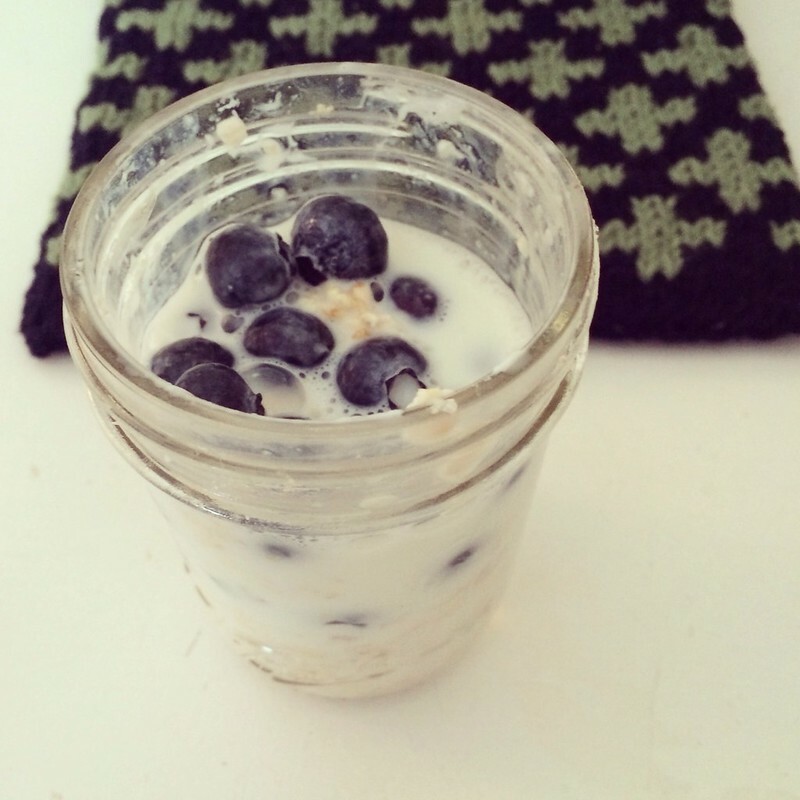 I decided to try my hand at some refrigerator oatmeal; all you need is some mason jars, fresh fruit, greek yogurt, skim milk, and old fashioned oats. This blueberry variety was a bit more sour than sweet, since I omitted the maple syrup called for in the recipe. All in all, if you like oatmeal, you will enjoy its refrigerator variety. But I’ll bet its better in warmer weather than current temps. Also featured: a handknit pot holder. You can get the pattern here.